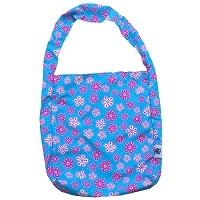 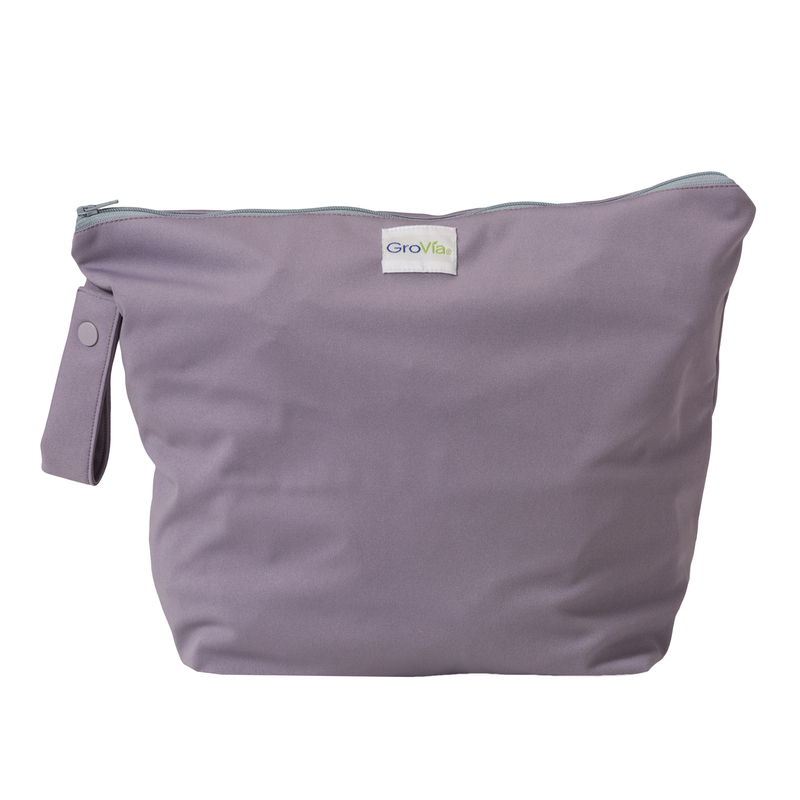 The GroVia wet bag holds approximately 4-6 diapers and is great for the diaper bag or daycare. 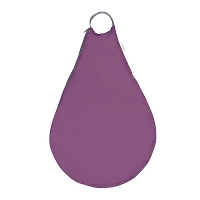 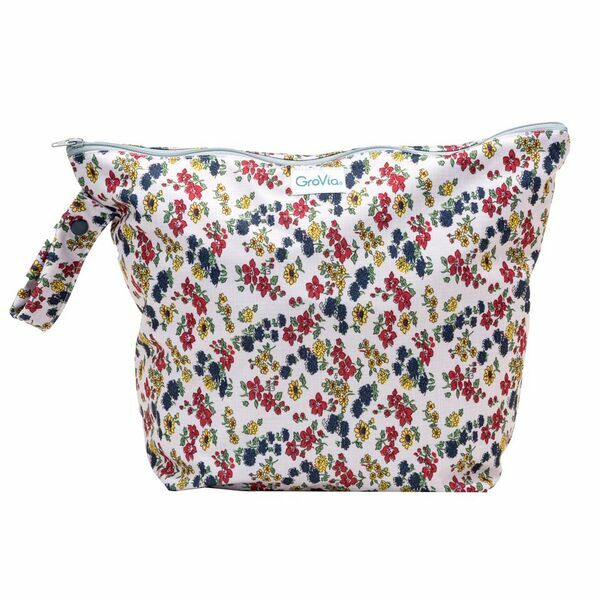 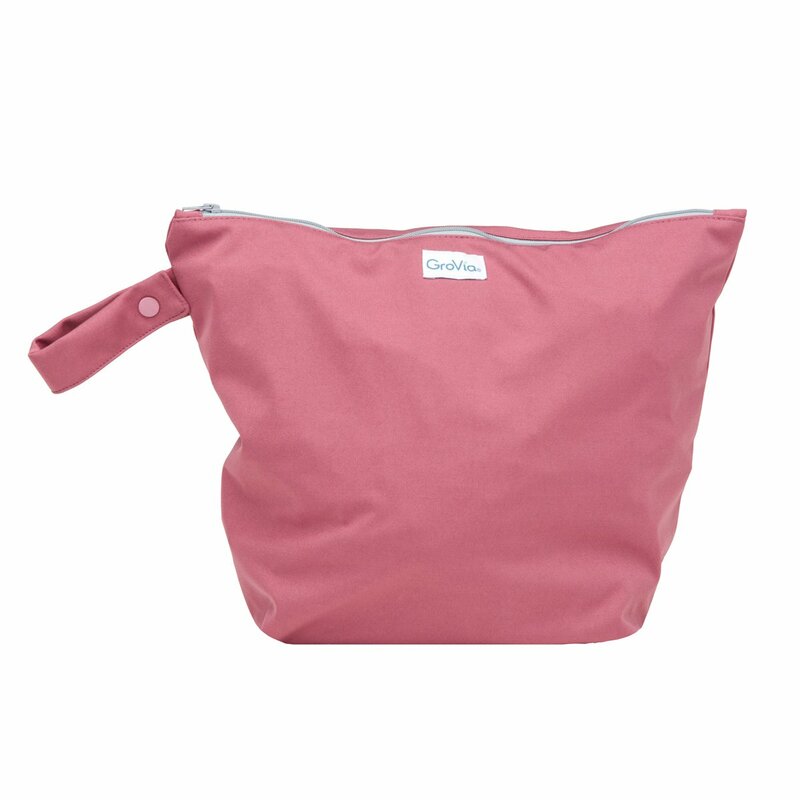 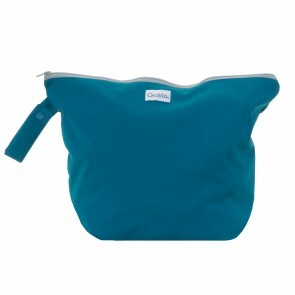 GroVia Zippered Wet Bag - keep cloth diapers and accessories secure with this durable zippered wet bag! 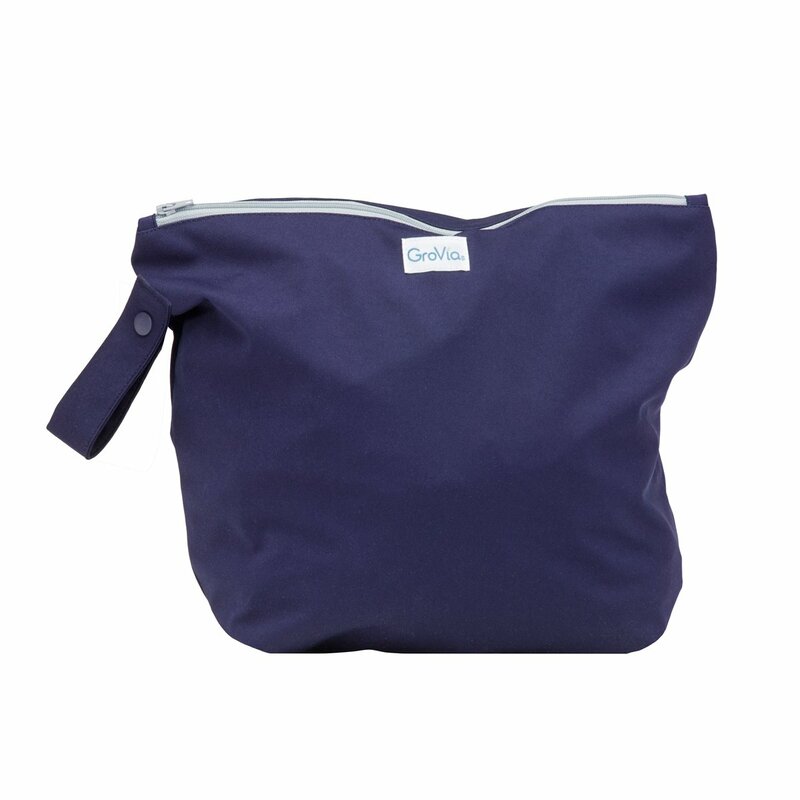 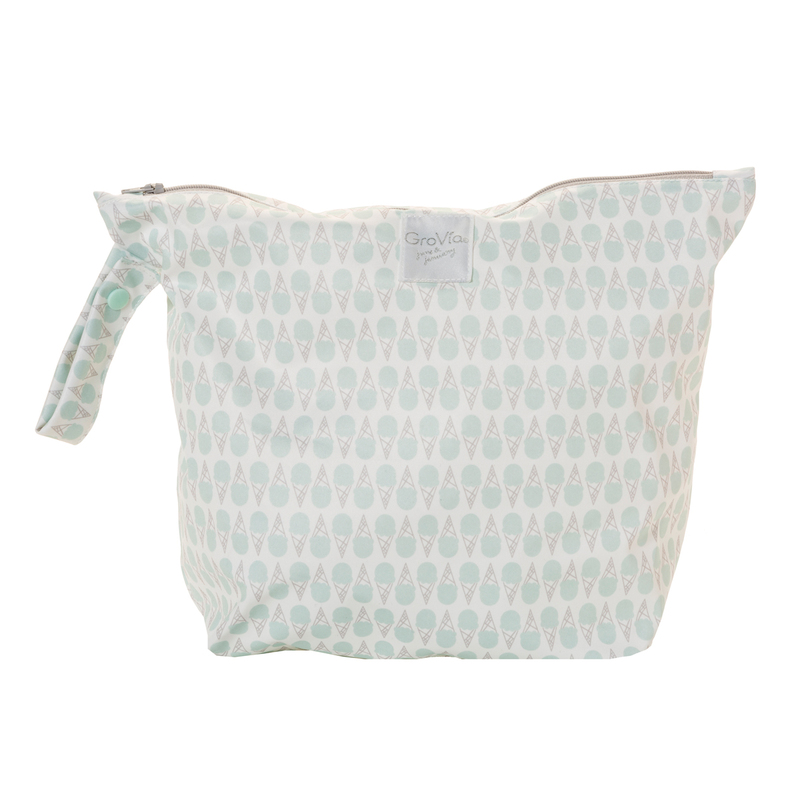 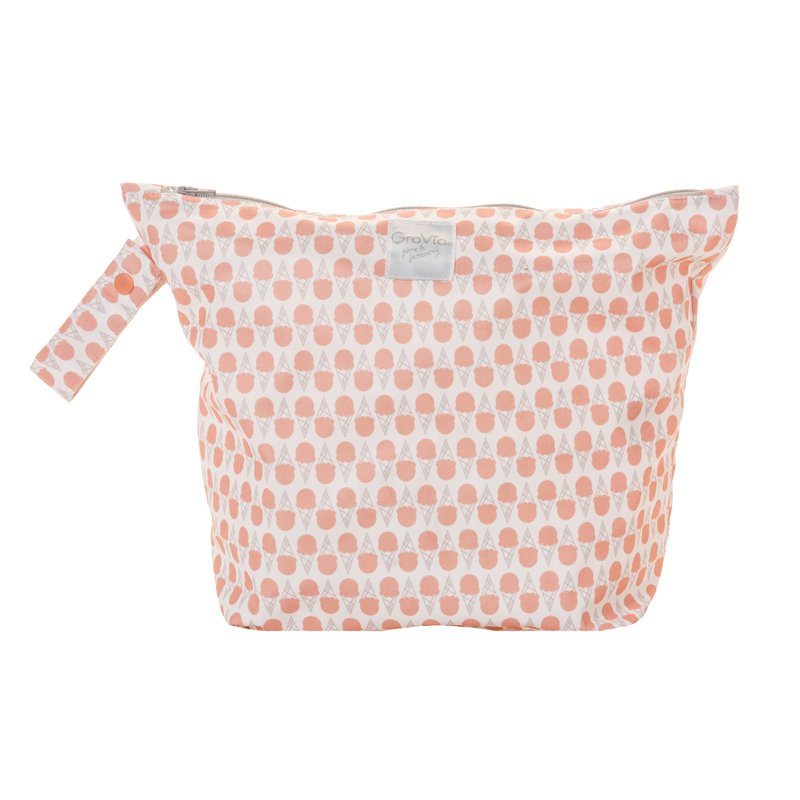 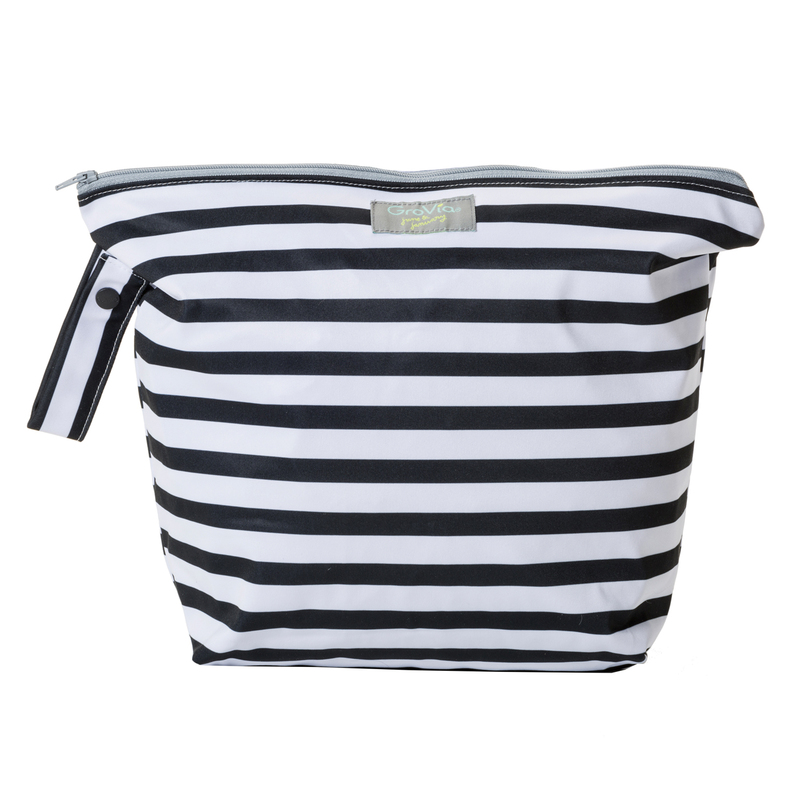 A cloth diapering necessity, this versatile tote features a simple, yet effective design that tucks conveniently into a diaper bag when on the go. 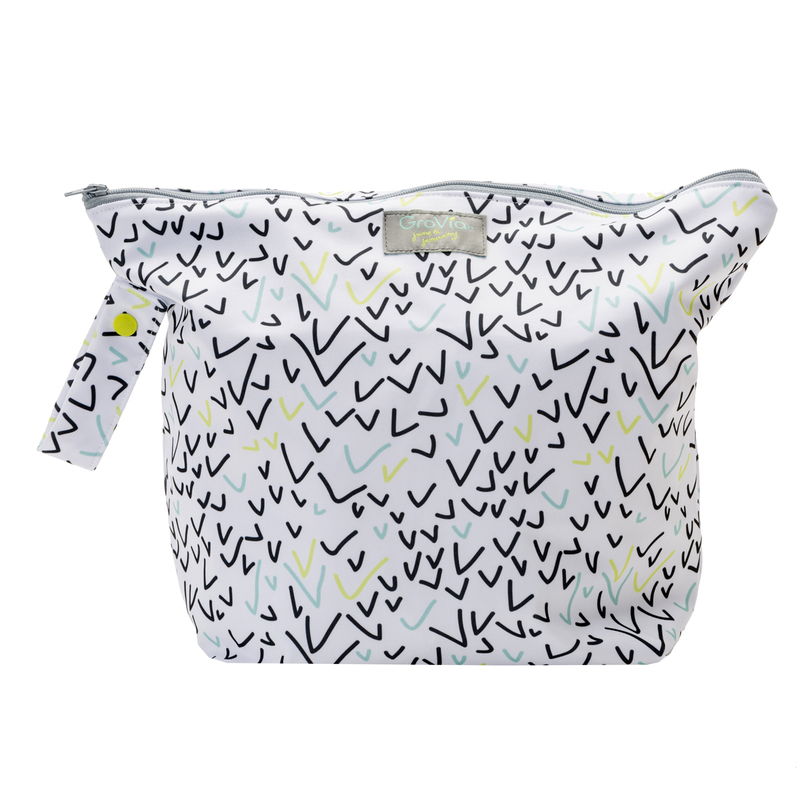 Perfect for travel, daycare or swimming! 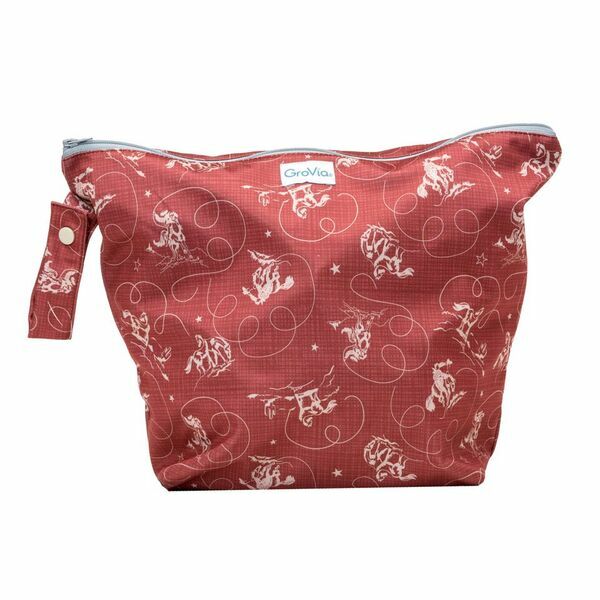 Please note we cannot ship this product outside of the U.S.A. except for military addresses. 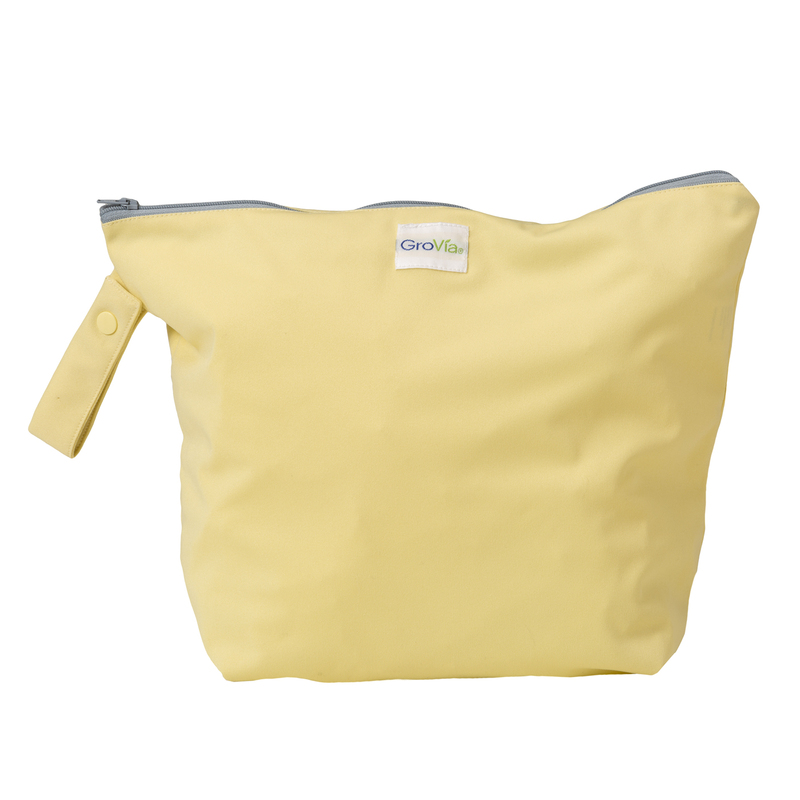 I have about (5) of these bags now that I send to daycare for my son's diapers - they're the perfect size and keep stink contained a lot better than my original drawstring wet bags that were worn out. 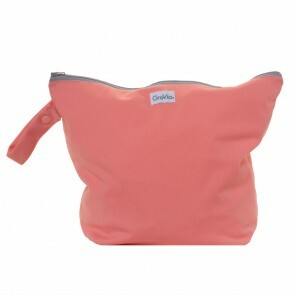 Great price, too!